This year is a great one for Irish gigs, with many of the world’s biggest stars coming to our little musical isle over the coming months. Bruno Mars, Bob Dylan, Ariana Grande, Hans Zimmer and U2 are just a handful of the artists doing the rounds in 2017, and their concerts are highly anticipated. Check out the profiles of each artist below and all the details on how to score tickets for their shows. Bruno Mars is one of the most well-known contemporary artists on the music scene these days, having made his mark with record-breaking hits since he rose in popularity in 2010 with the release of ‘Just the Way You Are’. Previous to this, he was a sought-after songwriter, having written and produced songs for artists like Flo Rida, Adam Levine, Sean Kingston and The Sugababes. His debut studio album reached number 1 on the Billboard Hot 100, and he subsequently released several singles that were universally acclaimed, such as ‘Grenade’, ‘The Lazy Song’ and ‘Marry You’. Mars’s second album was more varied in style, and in 2012 became the fastest selling album by a solo artist in the UK. Singles like ‘Treasure’, ‘Lean On’, and ‘Gorilla’ also made the Hot 100. 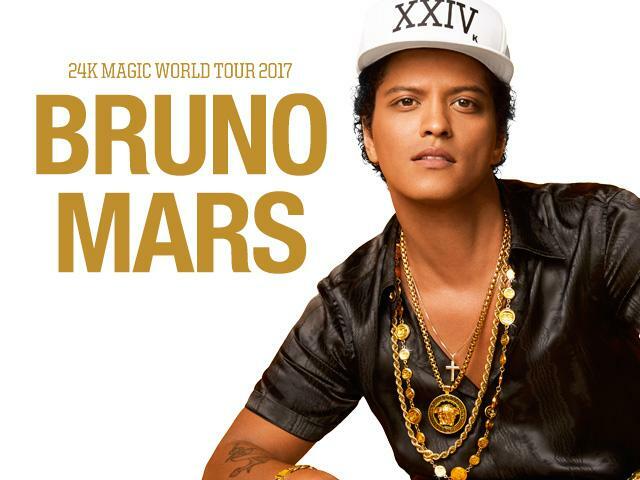 24K Magic is the name of Mars’s third studio album, as well as being the name of his 2017 world tour – which will land in Ireland a little later this month. Mars performed the titular song during his performance on US sketch programme Saturday Night Live last October, and it reached number 4 on the Billboard Hot 100. The album is in collaboration with Skrillex. Featured song ‘That’s What I Like’ was released as a single in January. 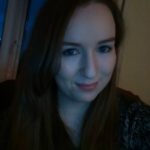 Tickets are pricey at a hefty €129, but the experience will surely make up for it if you’re a serious fan! Bob Dylan is one of the most revered singer/songwriters in modern American history, being a part of popular culture since 1959. Much of his earliest and most celebrated work chronicles the social justice movements of the sixties, including civil rights and anti-war sentiments. 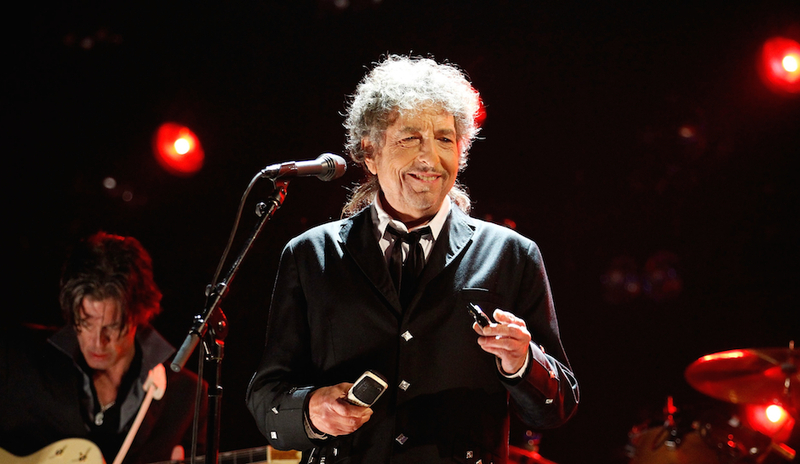 Over the decades Dylan has covered various musical genres in his songs, including rock and roll, blues, jazz, folk, country and even gospel. He has sold over 100 million records; he has won eleven Grammys and an Academy Award; has been granted the Presidential Medal of Freedom by President Obama; and in 2016 he received the Nobel Prize in Literature. His most popular records include ‘Like a Rolling Stone’, ‘The Times They Are A Changin’, ‘Just Like A Woman’, ‘All Along the Watchtower’ and ‘Knockin’ On Heaven’s Door’. He commenced the Never Ending Tour in 1988, and true to form, has played almost a hundred dates per year every year since then. The European stretch of the 2017 tour will begin in April and end in May – in Dublin. Dylan will perform in the 3Arena, but tickets are going fast – if you want to catch him in concert you’d better get on it! Ariana Grande is a relative newcomer to the music world at the tender age of 23, having begun her career on Broadway in the coming-of-age tale 13. She has been featured in two television shows on the children’s network Nickelodeon, Victorious and its spinoff, Sam & Cat. Grande appeared in the soundtrack of Victorious in 2011, but signed a recording deal in 2013 that led to the release of her own studio album. Grande’s single, ‘The Way’, debuted in the top ten of the Billboard Hot 100. Four singles from her second studio album, My Everything, put her at 34 consecutive weeks in the top ten of the Hot 100, and started her first world tour in 2015 – The Honeymoon Tour. Dangerous Woman, the title track of her third studio album, again reached the top ten of the Hot 100, making her the first artist in history of the chart to do so with three successive albums. She was named one of Time’s most influential people in the world in 2016. Grande’s Dangerous Woman Tour began in February, which has dates all over the US and Europe. She will perform in the 3Arena in Dublin this May before finishing up the tour in Italy a month later. 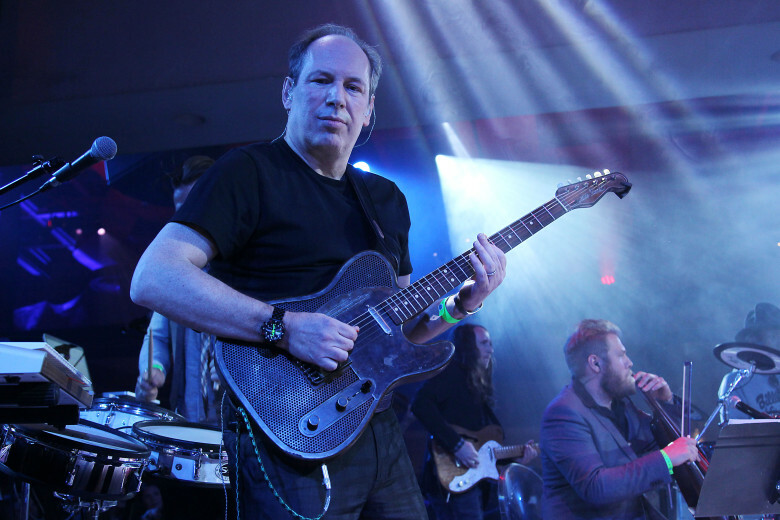 Hans Zimmer is a classical composer from Germany who has been producing music since the eighties. He is best known for his work on feature film scores, which have received critical acclaim throughout his career. Zimmer has composed music for over 150 films including The Pirates of the Caribbean franchise; Ridley Scott’s Gladiator; Christopher Nolan’s The Dark Knight trilogy, Interstellar and Inception; Pearl Harbour; Black Hawk Down; Guy Ritchie’s 2009 Sherlock Holmes and Zack Snyder’s Batman V Superman last year. Most recently Zimmer worked on the second part of the massive BBC nature documentary Planet Earth, and the Netflix drama series The Crown. In 1995 he won the Academy Award for Best Original Score for The Lion King, winning two Grammys for the same film. Zimmer will play the 3Arena in Dublin this June, which will be a part of his 2017 European tour. It’s likely to be the event with most diverse range of music on this list! U2 are perhaps the best known and most celebrated rock band in Ireland, and are recognised around the world as well. They have sold more than 170 million records globally and have won 22 Grammys – more than any other band in the award show’s history. The band achieved worldwide recognition with the release of their fifth studio album, The Joshua Tree. The album included the singles like ‘I Still Haven’t Found What I’m Looking For’ and ‘With or Without You’, which are the only songs to reach the top of the charts in the US. In 2009 the group conceived the idea of their now-famous 360° Tour, which sold out and became the highest grossing tour in history, as well as having the highest attendance. In 2016 the band released its thirteenth studio album, Songs of Innocence. This year U2 will travel the world on a tour that promotes the 30th anniversary of their album The Joshua Tree, with the featured songs making up the show’s set list. The 2016 US Presidential Election is cited as being one of the reasons for the band’s interest in revisiting the album, since it presents many themes that are relevant to current events. 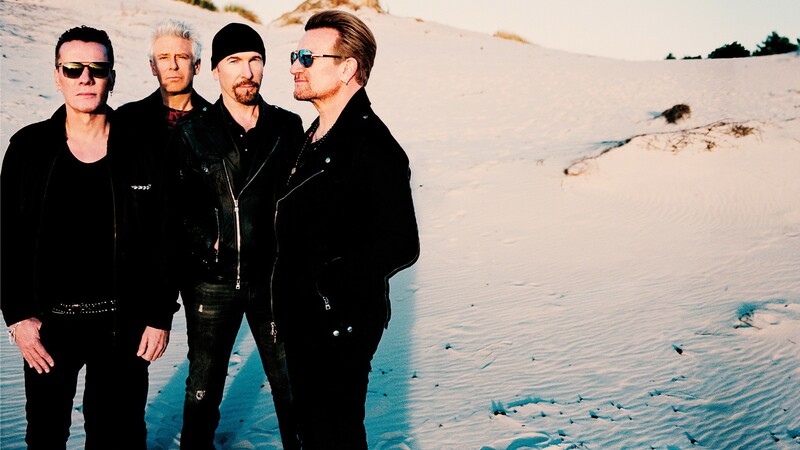 U2 will come home to Croke Park this July (the first time in eight years) on The Joshua Tree Tour, with their opening act, Noel Gallagher’s High Flying Birds. Tickets are reasonably priced, so don’t hold the iTunes debacle against them. If you’re looking for more info on Irish gigs, be sure to check Concertful or Ticketmaster for all the latest news and announcements. If you fancy venturing out of Dublin for your music fix, then check out these 5 Gigs You Need to See in Cork This Year.